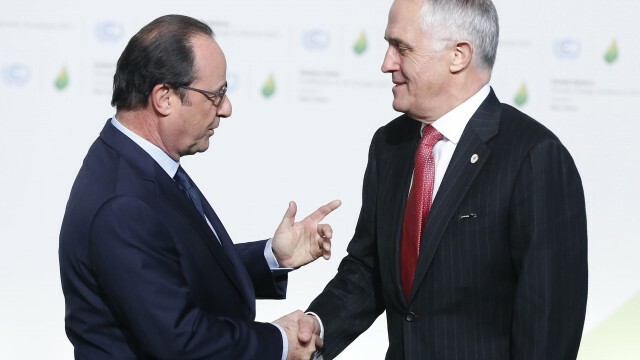 Climate change agreement a hollowed out tree? With the Paris accord laid bare on the table, Rob Idol looks into the climate change agreement and the governmental loopholes within. The monumental agreement finalised in Paris (which kicks off in 2020) has reportedly set a target of limiting global warming to sub 2 degrees Celsius with an aim of 1.5 degrees Celsius over pre-Industrial Revolution levels. This target is welcome news to a group of small island nations who pushed particularly hard for it as their belief is that at even 2 degrees, their very existence is threatened by climate change. It’s also welcome news for all who believe that climate change represents a very real and present threat. Further to that, the agreement has set a target of zero greenhouse emissions in the second half of this century. This, in particular, signals a very interesting potential turning of the tide in Australia and could easily make or break the Turnbull Government. For there to be any chance of Australia achieving that target, we need to take immediate steps to put the fossil fuel industry behind us and truly embrace clean energy options. This is where is gets a little complicated. We are a coal nation, through and through. It currently provides two-thirds of our power. It employs over 50,000 people in this country. It also brings in more than $40 billion per year in export revenue, and we have a lot of it. Under Abbott’s leadership, it was made very clear that not only would we continue to support and grow our coal industry, but that clean energy options were simply not on the table – something to do with wind farms being ugly and interrupting views of green pastures in the middle of nowhere. Turnbull, until now, has followed suit, making it clear earlier at the same conference that Australia will not be turning it’s back on fossil fuels. How did we get from there to here in such a short period of time? Was Turnbull’s public declaration simply smoke and mirrors for the benefit of those within his party that still subscribe to Abbott’s coal nation? Or did the implications of breaking ranks with the rest of the developed world hit home, particularly as Australia’s economic survival is so reliant on international trade? Or is Malcolm far more of a cynic than we gave him credit for, happy to sign off knowing full well that the agreement, whilst nice in principle, is without enforceability, or as some might argue, realism? We will have to wait for the next election to get a fuller understanding of his actual stance. However, in what I’m sure is an absolute coincidence, immediately following the announcement of the Paris agreement, the Turnbull Government lifted the ban on government investment in wind power which was put in place by his predecessor. Not only does this indicate direct action (pun intended) with regard to a shift in focus towards clean energy, it also represents the real move away from Abbott’s dark age environmental platform. Or is it just “Magic Mal” pulling out another of his misdirection tactics from his bag of tricks? At the end of the day, there is very little in the agreement that is legally binding and is unlikely to ever become legally binding. John Kerry, the US Secretary of State, explained that from a US perspective, a legally binding agreement is simply impossible as the Republicans currently control the senate and are opposed to the climate goals put forward under Obama – effectively making it impossible to ratify. The same could be said of Australia. Our issue is less to do with one party having control, or opposing views, as it could currently be argued that the leaders of both major parties are, at least on the surface, on the same page. The problem is within the parties; more specifically the Liberal party itself. Turnbull could not in his wildest dreams commit Australia to legally binding targets as he simply would not have enough support from within his own party to get it through. Is it just a case of tokenism then? A chance for world leaders, our own included, to smile for the cameras and promise the world knowing full well that they really don’t have to and/or that they’ll be well into retirement before anyone catches on to the ruse? The answer to that question will really come down to two major factors – the ability of international bodies like the UN to effectively track and report the progress of all signatory nations, and leadership from the US and China. Without legal enforceability, this agreement has one strategy in place to push for compliance and it’s one of the oldest ones in the book: name and shame. Naming and shaming, however, is of little consequence if those at the top of the economic and greenhouse tree don’t lead the way through their internal actions and future terms of engagement with trade partners who don’t hold up their end of the bargain. Definitely. The issues addressed and the commitments made in the Paris agreement represent a significant step forward from the international community. At the very least as global acknowledgement that not only do these issues exist, but that we really need to do something about them. At this stage however, they are only words on a page.